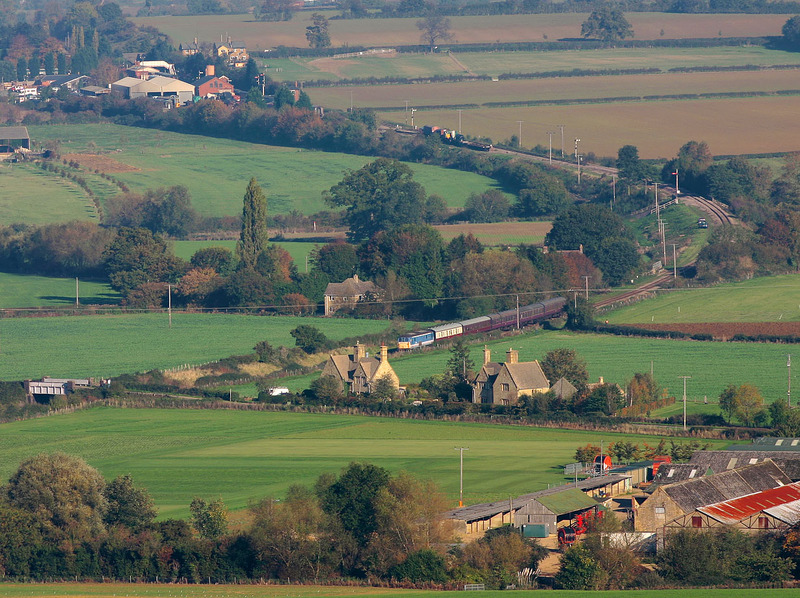 Not wishing to always stick with the conventional approach to photography, here is a panoramic view of the Gloucestershire Warwickshire Railway from the top of Salter's Hill. In the background over 2 miles away from my vantage point is Toddington station. The line can be followed round in a sweeping curve to where 73129 can be seen approaching the bridge at Hailes with the 10:42 Toddington to Winchcombe service. This was during the line's Autumn Diesel Gala on 4 November 2006.